I’m doing a mash up of Old Lexington, scandal, politics, big business and……real estate? Yep, real estate. Just like a retro-local version of Lifestyles of the Rich and Famous. Before moving to Lexington in the mid-80s, I was in Frankfort. And when you live in the capitol of this fine state, you are always aware of who is the Governor. The book is a good read. I had always thought of John Y. Brown as the guy who stole Kentucky Fried Chicken from Colonel Sanders and that chubby Governor who really liked riding in helicopters until I read this. My favorite memory of John Y was when I was in the 4th grade. He and his wife Phyllis George landed in a helicopter in front of Hearn Elementary. A limo showed up with their newborn baby, Lincoln Brown. All us kids got to stand in line and walk past the limo for a quick glimpse of Baby Lincoln. Even as a kid, I thought it was crazy that they chose the helicopter for transportation when the Capitol was about 5 miles away. Even crazier now that I am a parent is that the school interrupted education so we could see some baby whose dad was the Gov. His house last sold for $660k in 2012. From the pictures I saw when it was for sale, it looks like several of the bathrooms are pretty original-in that cool mid century way. Somebody at some time added an amazing swimming pool. The basement has a catering kitchen. I don’t know if that is an original feature. It looks to be since the cabinets feel more like 1960 than the 1970s when John Y lived there. 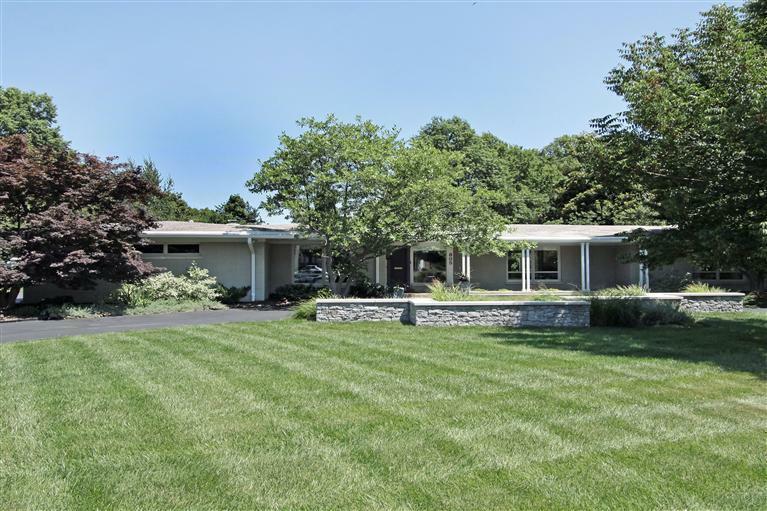 Life was probably pretty good for him when he built this monster of a house in 1972. His chain of bookstores were doing so well that he had the money to make several additions to his home, one of which was an indoor swimming pool. This picture was taken when he was selling the house….probably to pay off the $300,000,000 in debt he had at the time. According to Wikipedia, he was insolvent since about 1992 and was operating a Ponzi scheme. 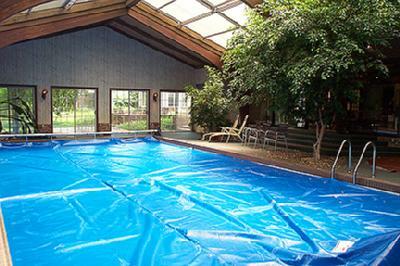 Maybe that is why the pool was covered with a tarp in this picture? 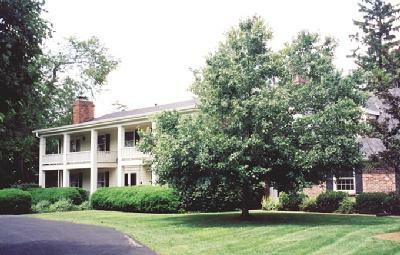 Wilkinson’s house last sold in 2004 for $875k. It use to have two other huge lots with it, but those were sold to pay off his creditors. Every time I pull into Greenbrier, I try to imagine what it would have been like for Wally to drive home from work. I picture him in a 1979 Cadillac Seville, talking on a giant cell phone hardwired inside his car as he drives past Hamburg back when it was only a farm. He waves to Anita Madden if she is at her mailbox. He gets off the phone about where Man O War is now, pushes the Conway Twitty 8-track in the stereo and chills for a minute before turning on Bahama Road. Then it is fondue for dinner and an evening watching The Love Boat and Fantasy Island.